Who is to blame when something doesn't work properly? Dangerous and defective products cause injuries throughout the United States every day. Over 250,000 injuries occurred in 2011 - from defective toys alone. According to the U.S. Consumer Product Safety Commission, 13 children died that year from using a defective toy. When a product doesn't work the way we expected and it causes harm to someone in our family, it can be infuriating and in some cases, tragic. Manufacturers of defective drugs and products can be held accountable for damages that are caused by their negligence. If you believe you may have a case, contact a product liability attorney at Harbin & Burnett to discuss the details of your situation. Get started now simply fill out the Free Case Evaluation form to your right and we will contact you. Its 100% confidential. When it comes to defective products, the flaws that can lead to injury are usually produced in one of three ways. In some cases, a finished product may have been manufactured by more than one company, leading to complex litigation. In such cases it is important to establish product liability, and an experienced attorney can be essential to the process. Virtually any product can be manufactured with flaws; however, there are some categories of products that are more likely to have defects. When a company has exhibited negligence by failing to sufficiently test a product before bringing it to market, the consequences are often catastrophic. In the most tragic cases, a childrens toy can lead to the wrongful death of an infant. If you are considering legal action for a defective product, contact our product liability lawyers today. If you have been hurt or lost a loved one because of a poorly designed, manufactured or packaged item, you could be eligible for compensation for the damages you have sustained, including pain and suffering, medical expenses, mental anguish, lost wages and more. As Americans, we expect the products we use to work as they have been described and presented. We also expect a person responsible for hurting us to pay the consequences for their actions. 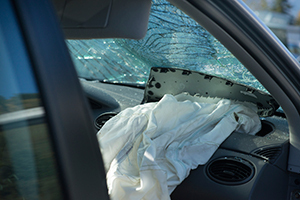 If a dangerous or defective product has caused an injury to you or a loved one, the victim may be eligible to pursue financial recourse for the damages you have suffered. Discover how a product liability attorney can help you call 1(888)821-0247 today to discuss the details of your potential case. To get started immediately, simply fill out the Free Case Evaluation form at the top of this page.